Fashion and functionality come easily for Robertson, a former interior designer. Sustainability comes in the form of all the wool sweaters at thrift shops that don’t sell. The sweaters, delivered to Robertson’s York-based studio in thousand-pound bundles, serve as the palms of mittens or the perfect Christmas stocking. Robertson reinvents each sweater’s potential. Jack and Mary Designs started in 2004 as Robertson turned unwanted sweaters into unique, artful handbags. The bags only required the body of the sweater, leaving the sleeves as refuse. Then in 2009, Robertson’s friend requested a special gift for her sisters: handbags made from their late mother’s sweaters, which she used to wear while watching one sister’s Olympic ski races. That’s when Robertson had a new idea. 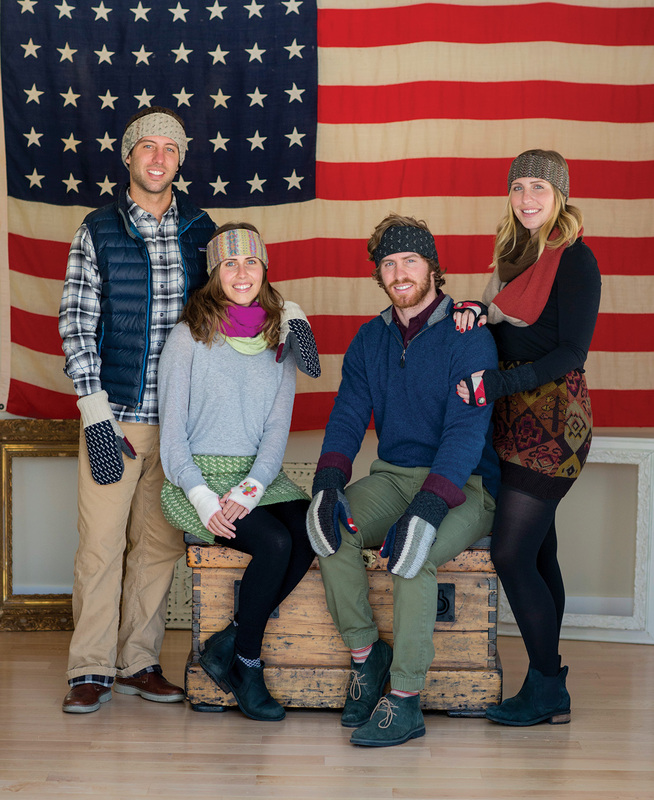 Jack and Mary Designs has moved on from the handbags, now designing and manufacturing the popular mittens ($42) along with hats ($36), scarves ($70), fingerless mittens ($29–32), headbands ($28), flower pins ($10) and Christmas stockings ($36). One of its newest products, the “bun warmer skirt,” is a contender for best seller. “Buns are best when warm,” jokes Robertson of the sweater-turned-skirt ($48) that can be worn over jeans or leggings for an extra cozy layer when it is cold. Robertson utilizes a local mill to die-cut the sweaters for all the products and employs local seamstresses to craft each item by hand. Together, they take even the ugliest sweaters and recreate them into fashionable and functional wears. For the fashion minded, but eco friendly consumer, her designs are a must. Browse Jack and Mary Designs on the company’s website or shop locally at Daisy Janes in York, Eldredge Hardware in York, Sohier Park Gift Shop in York, Farm + Table in Kennebunkport, Julia’s Gifts in Kennebunkport, Lois’s Natural Market in Scarborough, Angel’s Arrowhead in South Portland and Maine Woolens in Freeport. 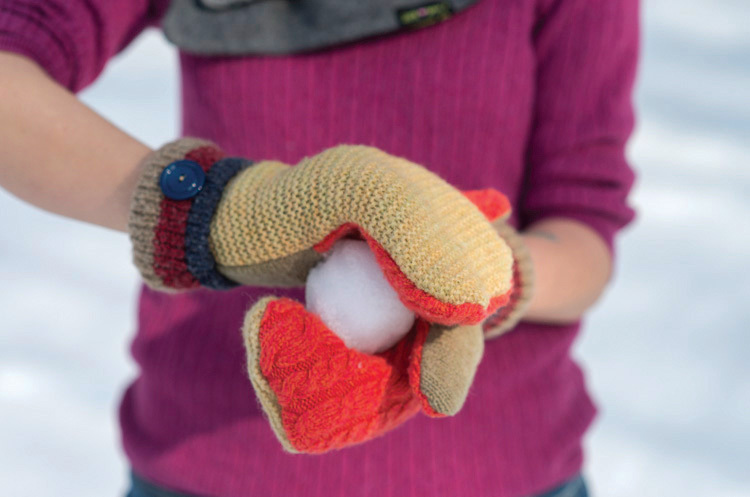 Jack and Mary Designs has something for anyone of any age to stay cozy warm this winter.